Can I choose a single sport? You can choose even one single competition from our GOLD and VIP ranges. You can decide if you need one sport or all sports. It depends of range, sport and competition. Please study our coverage. You can easily find out what stats are available for specific competitions. What sports are available with SportsAPI? Can I test your SportsAPI feed? Of course! 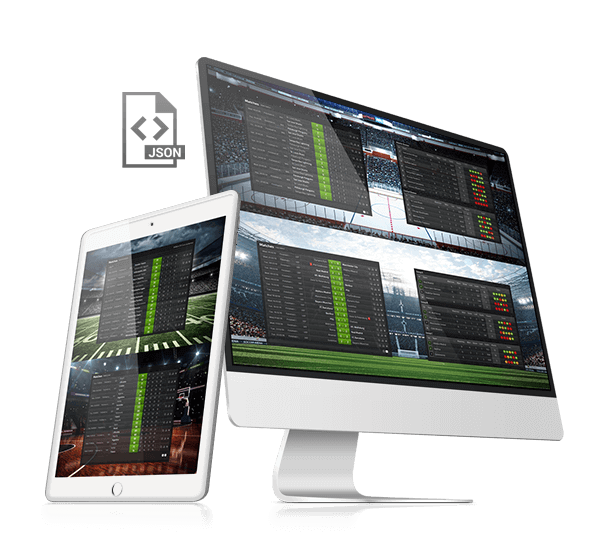 Just click FREE TRIAL button to open your free 14 day test account for SportsAPI! Do you have your own scouts? We care very much about having a network of sports specialists around the world. Currently we have over 500 highly trained scouts working for us and we are always open for new sports enthusiasts. Please check Packages and pricing for detailed information or just reach out to our Customer Success Team who will be happy to provide you with the costs. What information do I need to provide to start the free trial? Please, use this FREE TRIAL web-form to contact us. Who is using your services? Currently we are providing our services to a variety of customers, from affiliates and bookmakers to media, sport clubs and federations. If you would like to join them, we will be honoured. We have a range of 30 languages available to choose from at the moment. If you would like use a language we don't have, this will be secured for you. Adding it would take around two weeks. How long does it take to integrate this solution? It would be few days of preparation process and then there will be only final integration by redirection from our server. How many events do you provide? We provide up to 30,000 events per-month depending on competitions available. Which sports competitions are available? We invite you to start the free trial to find out how deep our coverage is! We cover nearly 6,000 competitions with 27,000 teams involved and 1,000,000 athletes! Please check our coverage list for full details. What is the difference between the range of packages? Basic statistics are available at the BRONZE level. Then with the higher levels (SILVER, GOLD, VIP) you get more stats for both teams and athletes. Please check our coverage list for more details about the range of statistics available for each level.